Andrew Mitchell is an associate professor of history at Grove City College. He contributed a chapter, “Por Dios, Por Patria: The Sacral Limits of Empire as Seen in Catalan Political Sermons, 1630 – 1641,” in “The Limits of Empire: European Imperial Formation in Early Modern World History” (Ashgate, 2012). He earned his bachelor’s from Hillsdale College in 2000, and his master’s and doctorate from The Ohio State University (2000; 2005). 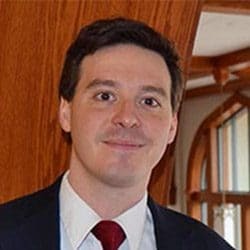 After teaching for three years at Hillsdale College and one year at Spring Arbor University, Mitchell came to Grove City in the autumn of 2008. Mitchell has taught classes on Spain and Latin America, courses on early modern and military history, and seminars on the Reformations, piracy, and Western food & feasting. Mitchell rece ntly finished an article entitled, “The Indochinese Films of Pierre Schoendoerffer: An Homage to Honor and Hope” that will be published in an upcoming festschrift to John F. Guilmartin, Jr.